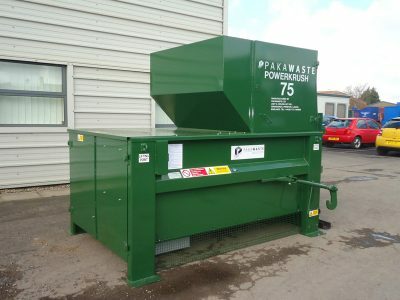 The Powerkrush 75 is a medium sized static compactor designed for general waste mainly loaded by hand or via wheeled bin. It is the most popular compactor in our range and is used in conjunction with containers ranging from 14 to 40 cubic yards. For more information on our Static Compactor, please contact our specialist team today.